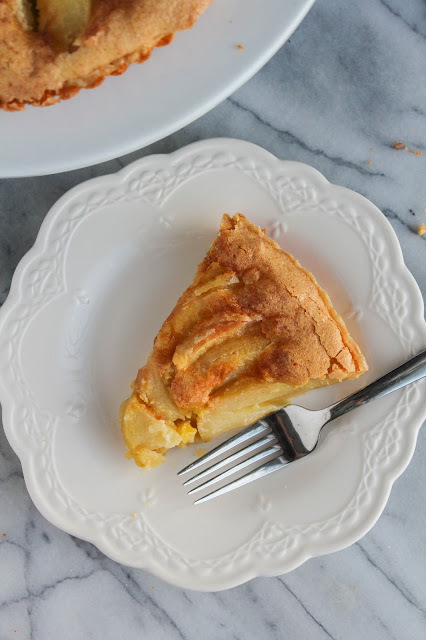 This beautiful tart is filled with delicious Honeycrisp apples and a browned butter custard filling that is simply irresistible! Although I love to bake, pies have never been my forte. I'm not exactly sure what it is. Maybe I'm intimidated by the whole crust thing. Or just the precision of everything. Whatever the reason is, I seem to gravitate towards baking everything else other than pie! When I found out the theme for this weeks' Sunday Supper was pie, I knew I had to get in the kitchen and come up with something special. My creation is this Apple Browned Butter Tart. 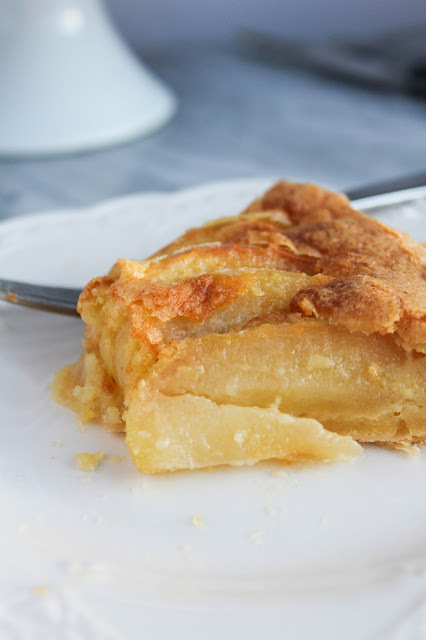 With it's flaky crust, creamy custard filling, and tender apples, it's a dessert you'll want to make again and again! This tart is really simple to make, and doesn't call for many ingredients, so don't be intimidated. You can use store bought pie crust or make your own, whatever is easiest for you. I'll admit, I bought mine! It definitely saves some time in the kitchen. The best part of this dessert is definitely the browned butter custard filling. Browning butter gives it such an amazing flavor, a bit nutty actually, and it compliments the apples perfectly. 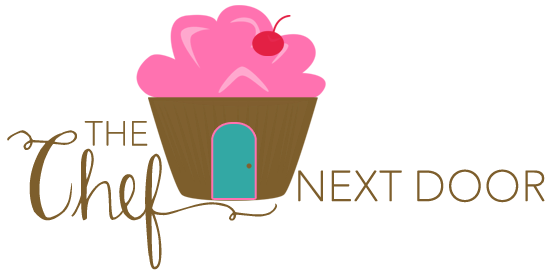 Be sure to check out all of the amazing pies, both sweet and savory, that my Sunday Supper friends made this week. I'm getting hungry just looking at them all! Now, who's ready to make this tart? Preheat the oven to 400 degrees. On a lightly floured surface, roll the pie crust into a 12-inch circle. Place the crust into a 10-inch tart pan with a removable bottom. Press the crust into the sides of the tart pan and trim the edges. Line the crust with foil and place pie weights or dried beans on top of the foil. Bake the crust for 10 minutes, then remove the foil and bake for another 5 minutes. Reduce the oven temperature to 350 degrees. Allow the crust to cool slightly while you make the filling. Place the butter in a saucepan and melt over medium heat. Turn the heat down to low and allow the butter to cook for 5 minutes or so, until it turns light brown in color. Remove from the heat and cool slightly. In a large bowl, whisk together the eggs and the sugar until pale and fluffy. Add the vanilla, then the flour and salt, and whisk well to combine. Slowly pour the browned butter into the egg mixture, whisking constantly, until smooth. 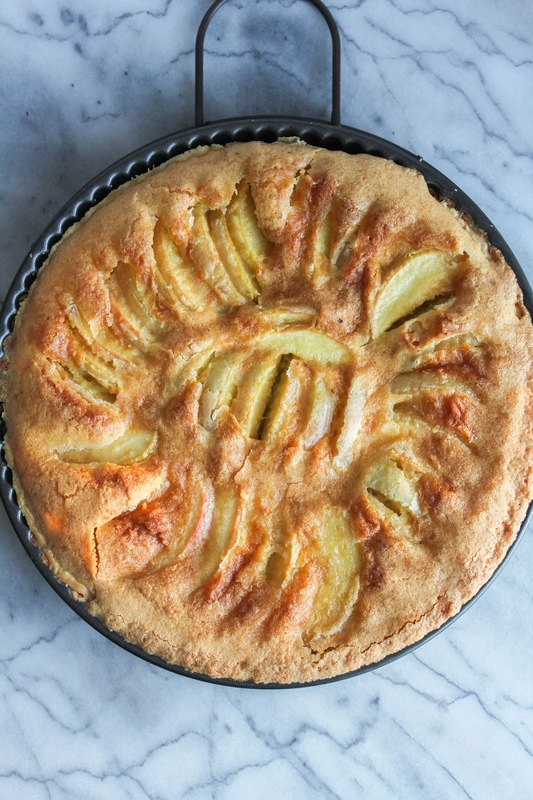 Arrange the apple slices in a pattern on top of the cooled tart crust. Pour the browned butter batter over the apples evenly. 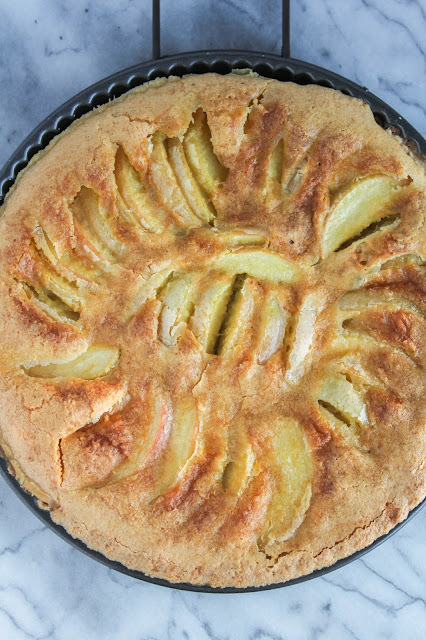 Bake the tart for 40-45 minutes, or until a cake tester inserted into the center of the tart comes out clean. Allow the tart to cool completely before removing it from the pan and placing on a serving plate or cake stand. Cut into slices and serve.